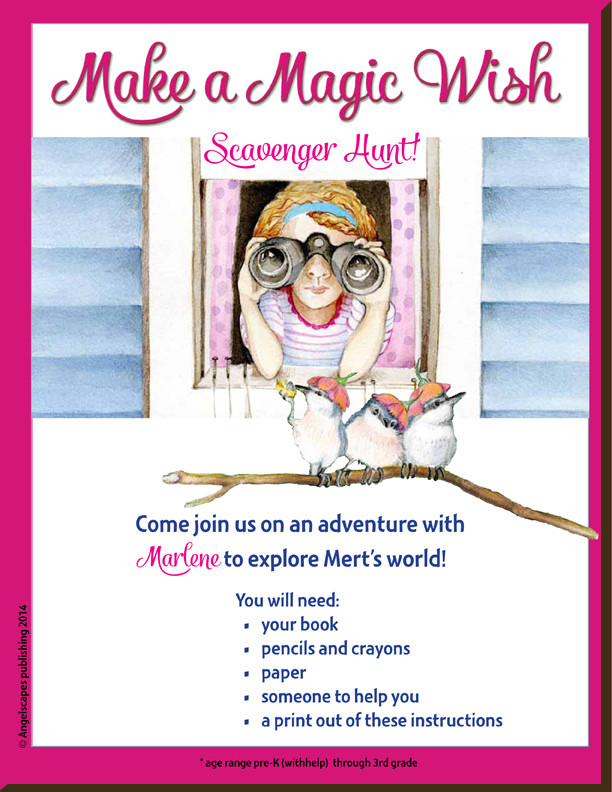 Download this PDF for a fun parent and child scavenger hunt to explore the book Make a Magic Wish. 10 pages of adventures that take you through the Marlene and Mert’s story. Hunt down the details of this magical story with your child! Explore the world of magic, wishes and emotions your child may have about his or her own world. Do one adventure at a time. Each adventure is a robust exercise. Designed to open up imaginative and compassionate conversations between you and your child.